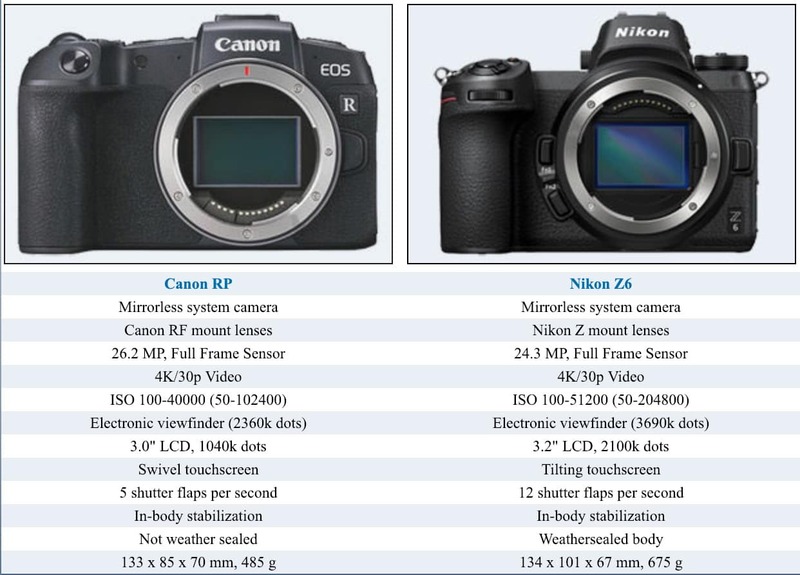 Here are the specs comparisons between the Canon EOS RP vs Nikon Z6 vs Canon R vs Sony a7 III cameras. Apotelyt added the Canon RP to their comparison tool. 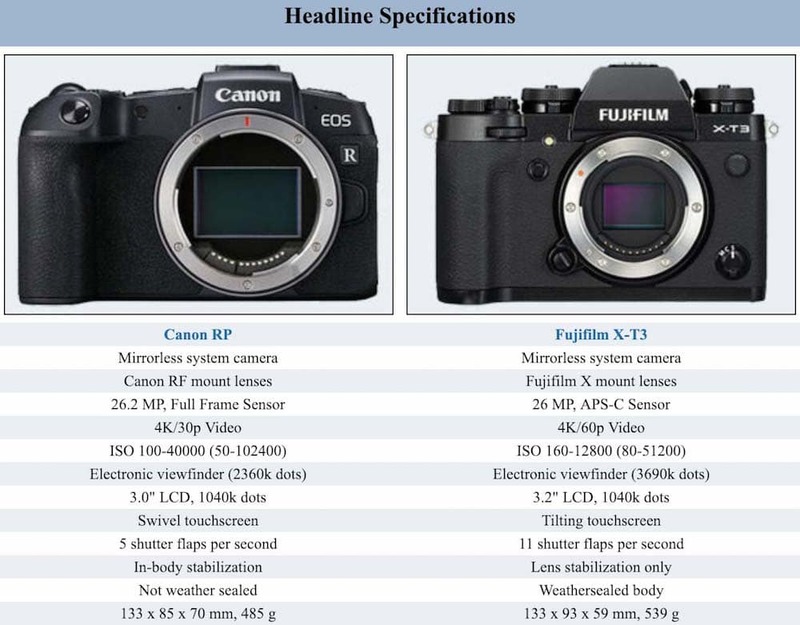 The entry-level full frame mirrorless camera is very compact. 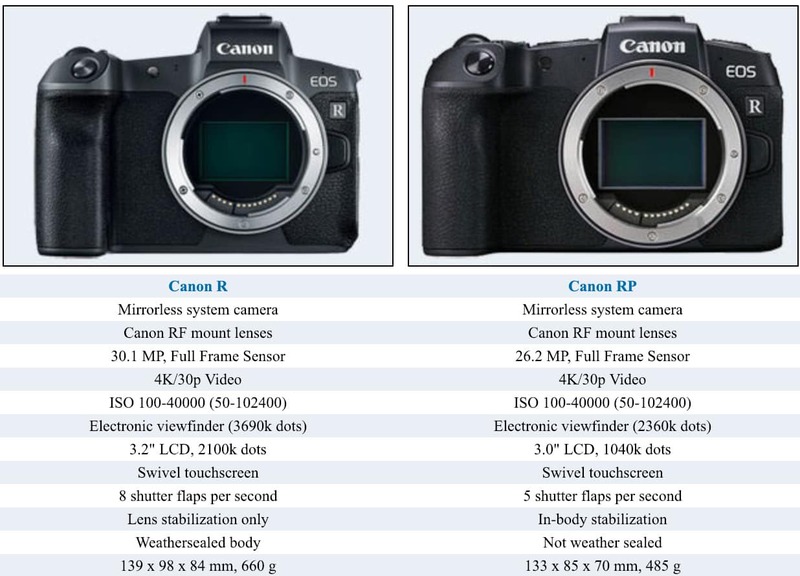 Canon is offering an amazing price with the Canon RP ($1,599) and it will compete against other full frame cameras as well as high-end APS-c sensor models like Fujifilm X-T3 and Sony A6500. Sure if it performs well. 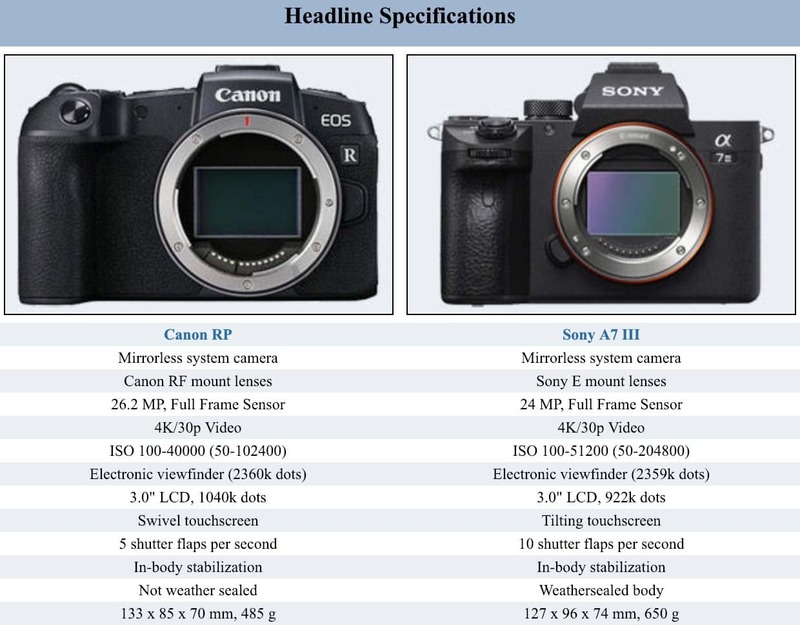 Check out the images below that shows the Canon EOS RP vs Nikon Z6 vs Canon R vs Sony a7III camera comparisons.